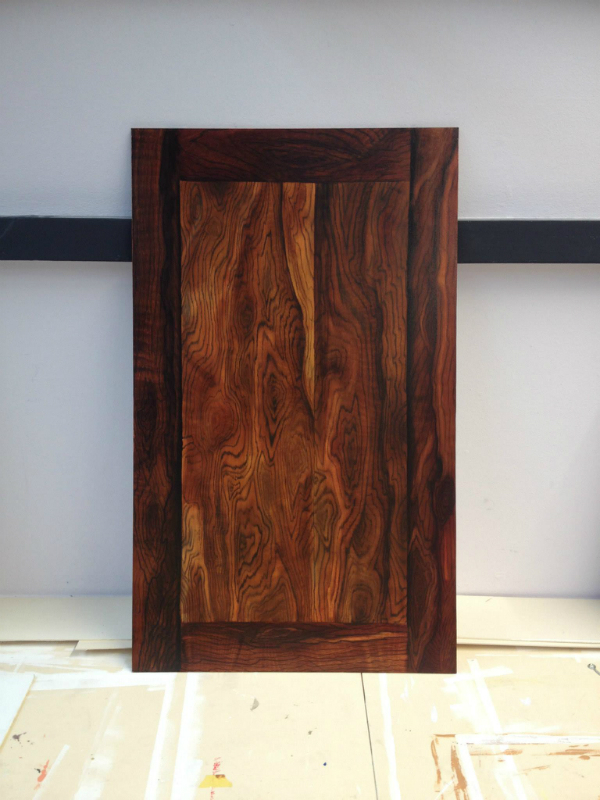 In this news item I show how we paint a wood imitation of Palisander wood. The imitation can be seen here on a test panel, but of course on any other surface and also on columns, tables or reception desks. 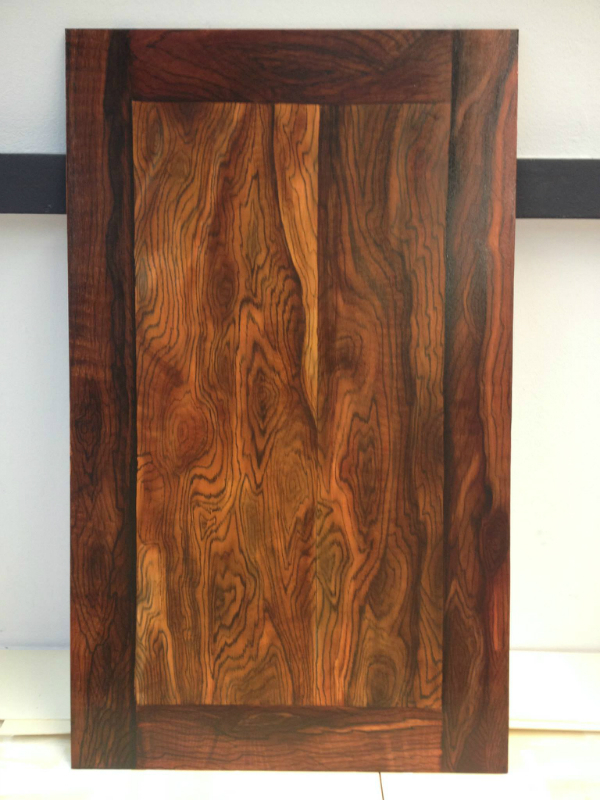 The imitation of palisander wood starts just like any other type of wood that we imitate with a well-chosen color surface. 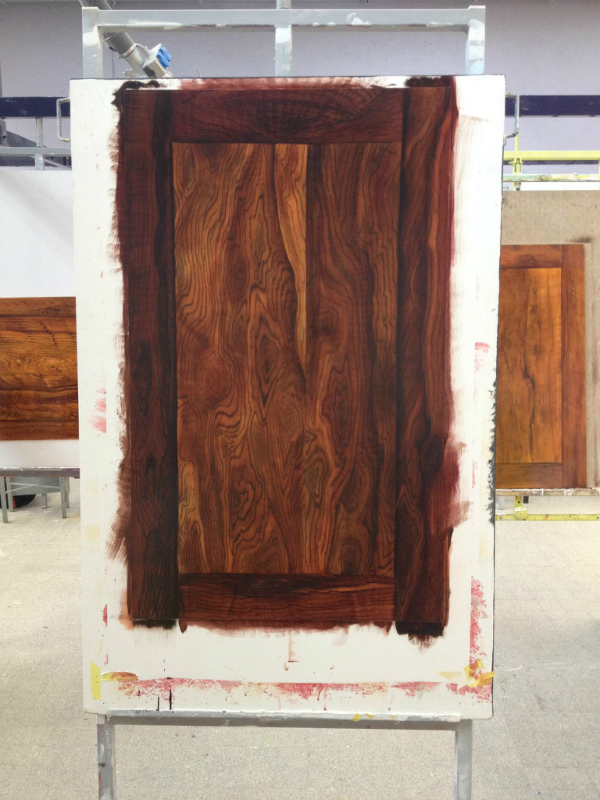 On this surface we draw the wood grain divided into the various 'planks' where the panel should consist of. 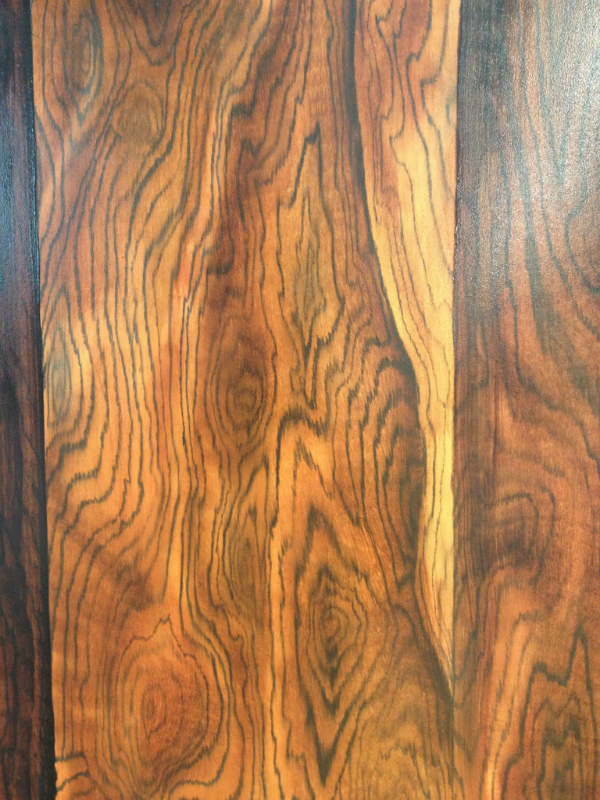 The veins are then treated so that they get more and more the 'woody' appearance that makes the wood imitation more realistic. Then the real work begins: applying the glazing layers. 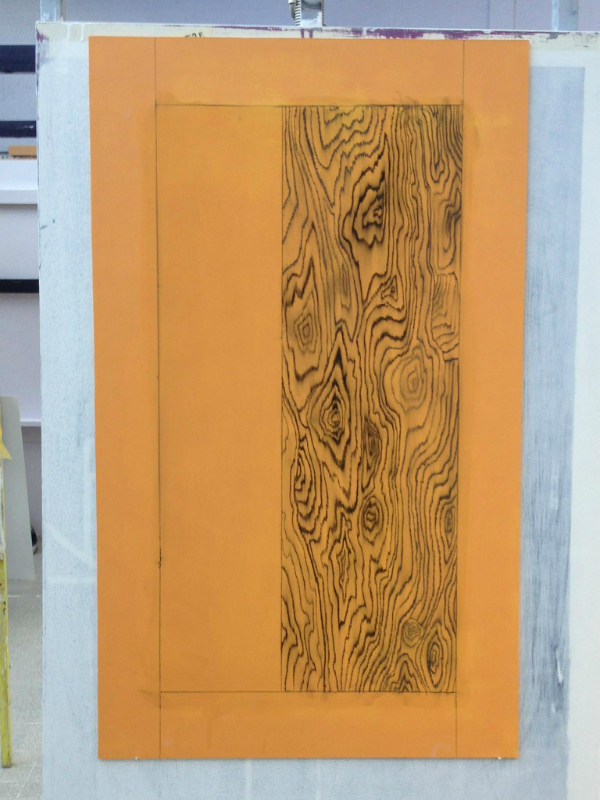 Glazing layers are semitransparent layers with which the color emphasizes the depth in the wood and the extra drawing of the growth. Not one glazing layer, but at least 3 glazing layers are applied here. Here we use water-based paints so that the different layers dry quickly, it is more sustainable for the environment and healthier for us, the painters themselves. 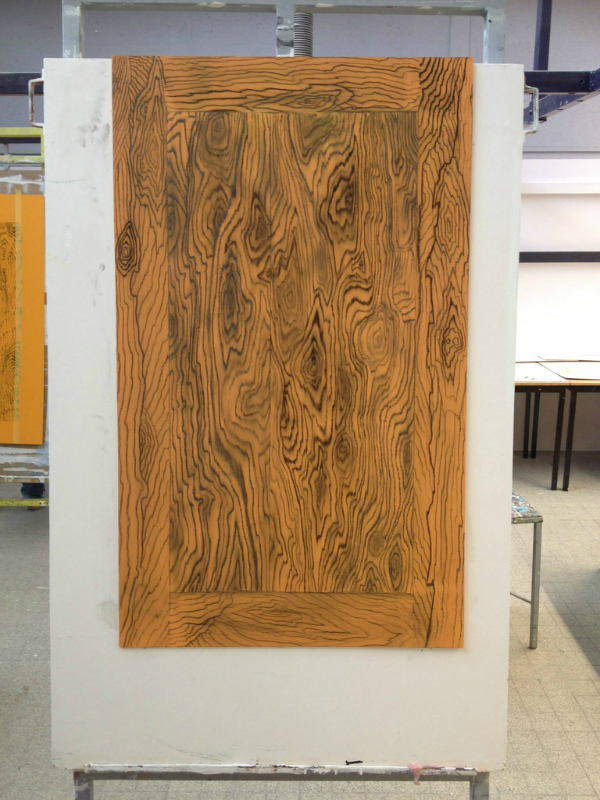 This new method also ensures that due to time savings, the cost of a wood imitation will be considerably lower than the old techniques used based on oil paint. 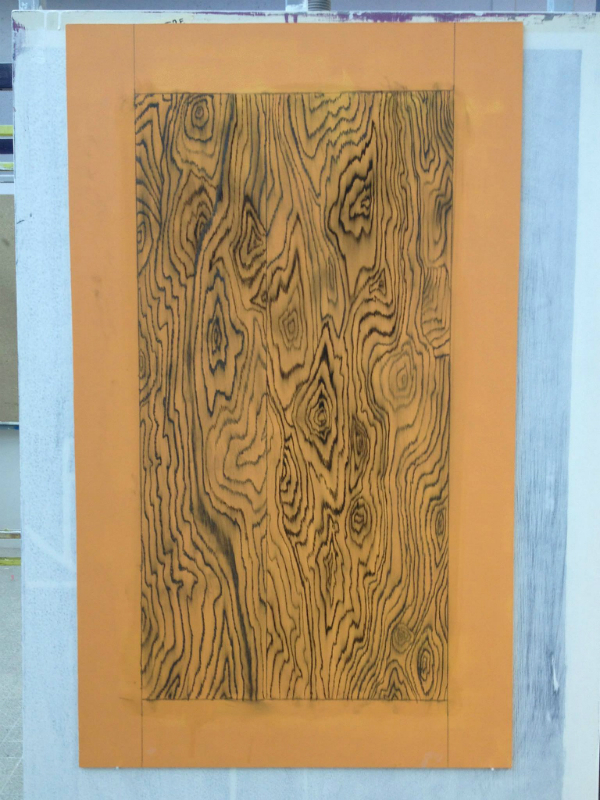 If you click on the large photo on the left, you will come across a photo slider that shows some steps of painting a wood imitation Palisander wood.